“Haunted hypnotist” Vincent Lords (VincentLords.com) has been casting spells on Salt Lake City since the mid-'90s. His new show, Supernatural, plays twice (8 & 10 p.m.) Friday and Saturday nights in October at Wiseguys in West Valley City. You’re doing a month of shows at Wiseguys, a comedy club—but you don’t really seem like a funny guy. What should someone expect from Supernatural? Expect the unexpected, and things that you cannot see at your average hypnosis show in Utah. With hypnosis, I deal with people’s minds; sometimes their minds are dark and twisted, and other times, they’re funny. A comedian I am not; a mystifier I am—amazed you will be! You’re sometimes compared to Criss Angel, even though you’ve been working as long as he has. Flattering, or annoying? You know, Criss Angel is sometimes compared to me, too. We do different things and are looking for different results. 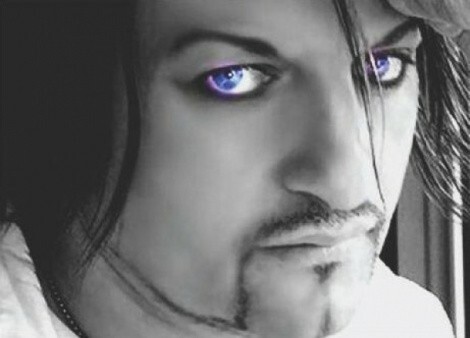 Angel has changed the way people look at magic the same way I’m changing the way people will experience hypnosis. I don’t find the comparison flattering or annoying. We both work hard to express our craft better than anyone in the industry. Some hypnosis detractors says it’s all fake, while the other side claims it’s pure Satanism. Are you a huckster, or an agent of evil? Wow, what a choice—I am neither a fake nor in league with the devil. I bring mystery to an otherwise dull reality, and give those who choose to join me onstage the opportunity to be free of judgment or accountability and escape from reality for 90 minutes. Sounds like a fun time to me. You’ve been performing in Utah for over a decade, but have never gotten much coverage from the local media. Care to put a curse on the bastards? Sometimes people do not know what they have right in front of them. Utah offers many talented, hard-working artists and performers who will make it big. The sad part is it seems the media only wants you when you hit the big time—but what about the 12 years of struggles and hard work? It never happens overnight. There are so many great stories to be told about the journey getting to the top that local media is missing, and it’s all right here in their own state. It’s OK. Some media outlets have been great to me, and this I promise: Soon everyone will know who Vincent Lords is even if I have to hypnotize them one by one. My name you will remember! So, it’s just us here, you can tell me: How do you it? I do it very, very well. Thanks for your time here with me. One. Two. Three. Wide awake!